Today, Navajo turquoise is one of the most popular gems found in jewelry. It is a gem stone that represents many things in the Navajo nation. Health, luck and joy are a few of the things the Navajo people associate with turquoise. The start of jewelry being made from turquoise started in the late 1800s. It was a time when Navajo people learned the art of sliversmithing from the Spanish. Once their skill levels increased, the Navajo started to create jewelry that had both silver and Navajo turquoise in it. In the beginning, the Navajo used only crude tools to create their Navajo turquoise jewelry. In time they were able to obtain more sophisticated tools from traders and travelers from other cultures. 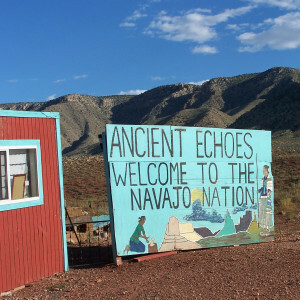 The Navajo believe the many colors in the Navajo turquoise stone signifies the colors found in the world of nature. At one time there were many pieces of jewelry made with Navajo turquoise that were shaped like a type of horseshoe. It was a symbol referred to as “Naja.” This symbol was important in Mexico. It was believed to represent good fortune. Two of the most well-known types of jewelry that utilize Navajo turquoise are squash blossom necklaces and rings inlayed with Navajo turquoise. Squash blossom necklaces come with a Naja symbol pendant containing both silver and Navajo turquoise. Because of the tourist trade, the Navajo have created many types of jewelry using Navajo turquoise that are different from their traditional style. The traditional jewelry style with Navajo turquoise usually has a larger number of turquoise beads with smaller amounts of silver. Much of the jewelry made today with Navajo turquoise doesn’t utilize the traditional styles and settings. They also don’t represent the Navajo culture and are designed for selling to tourists. The desire for jewelry made from Navajo turquoise is steadily increasing. Today a detailed necklace made from Navajo turquoise can be seen at the many elaborate gatherings. It is also common to see belt buckles containing Navajo turquoise as well as western-style ties and more. Unlike other more expensive gem stones such as rubies and sapphires, Navajo turquoise is less expensive and just as dazzling to the eye. Jewelry and other items made from it are extremely popular as gifts. With a little effort, a person can still find members of the Navajo nation who make and sell the traditional Navajo jewelry. Copyright © Navajo Turquoise 2019. All Rights Reserved.